By L. Steven Smutko, Ph.D. If I take a $5 bill from my wallet and offer it to you, no strings attached, what would be your response? You might hesitate a moment – maybe you don’t fully trust me – and ask a question or two to clarify my offer, making sure that nothing is required of you in return. Honestly, no strings attached. Chances are very good that you would take the $5 bill, thank me, and pocket it. After all, why wouldn’t you take an offer of free money? Well, game theory shows us that it depends on the circumstances surrounding the offer. Let’s change the circumstances slightly. Prior to offering you $5, I mention that I have recently been offered a gift of some cash. A benefactor, who will remain anonymous, wants to give me $100. This is all on the up and up. No thievery is involved, the money is truly honest money, offered by a benevolent citizen of our community. But in order for me to receive the money, I have to share part of it with another person. I have chosen you. The kicker is I can make only one offer to share the $100, in any amount that I choose. If you accept my offer, I will receive the $100 and then will pay you your share. If you refuse my offer, neither of us gets any money. Got it? OK, I offer you $5, no strings attached. Do you take it? Chances are, you won’t. Even though you would have accepted $5 from me had I offered it without the narrative about a benefactor’s donation, now $5 is not enough. You refuse, and neither of us gets the cash. Is this rational behavior on your part? This is the essence of the Ultimatum Game. The Ultimatum Game shows us that the concept of fairness plays a strong role in our rational decision making. The game has been played by thousands of MBA students, and the offers recorded. Had I, the allocator, offered you, the recipient, $50 and you behaved like an MBA student, it is nearly certain that you would accept. But the acceptance rate declines precipitously below that mark. An offer of $20 will be rejected 70% of the time. It is not until we get to an offer of about $35 that that there is a greater than fifty-fifty chance that you will accept. Most recipients view anything below $35 to be an unfair allocation. I experienced a version of the Ultimatum Game during negotiations among a utility company seeking a new federal license to continue its hydropower operations in southern Appalachia and multiple parties representing interests related to water allocation and environmental protection. The terms and conditions of a utility company’s license to operate a hydroelectric generating facility are set by the Federal Energy Regulatory Commission (FERC) on a case by case basis. It is not uncommon for utility companies to attempt to negotiate an agreement among the many stakeholders affected by its hydropower operations prior to submitting its application to the FERC. If a utility company can secure a robust agreement prior to its license submittal, the FERC is likely to grant a license consistent with this agreement, thereby reducing the risk to the company of some unknown, potentially costly license conditions. In this case, I was serving as a third-party neutral, helping the parties seek consensus on how a large hydropower project was to operate while protecting recreational and environmental values in the watershed. The company had floated an offer that consisted of regulating flows so that anglers could fish for trout below the dam at low flows in the mornings and evenings when fishing is good; rafters could take advantage of high flows on hot summer days; minimum flows would be secured to protect aquatic life; and lakeshore homeowners above the dam could anticipate stable, high water levels. In addition, recreation facilities and access areas would be constructed above and below the dam. And to protect water quality and wildlife habitat throughout the watershed, a seemingly generous resource enhancement fund would be available to local governments and nonprofit organizations in the area. The company and the other negotiators worked together over a number of months to tweak the offer by changing water flow allocations, recreational improvements, and environmental initiatives. As the deadline for agreement approached, a small conservation nongovernmental organization (NGO) involved in the negotiations rejected the utility company’s offer of a resource enhancement fund. The NGO countered for an amount more than five times the original offer. The company countered with an increase, but nothing near the NGO’s demands. Even though the original offer would have provided the NGO with a significant infusion of new operating dollars to pursue its conservation goals, well above its current operating budget, the NGO refused it as well as the more generous follow-up offer. The NGO chose not to sign the settlement agreement, and instead pursued its interests through appeals to the FERC. The utility company withdrew its offer of an increased resource enhancement fund. In the end, the FERC granted the company its license with an enhancement fund that was considerably smaller than it could have been had the NGO accepted the company’s offer. Why did the NGO behave, in the perspective of many involved in the negotiations, so irrationally? This “irrational” behavior can be viewed within the context of the Ultimatum Game. The utility company, the allocator, has been granted a resource that it must share, that is, the use of a public good for generating electricity, and profit. The company offered the NGO, the recipient, a share of the value of this good and the NGO rejected it as being unfair or inequitable and attempted to punish the utility company by denying it a robust, consensus agreement. However, in addition to the fairness criterion explained by the Ultimatum Game, we can point to four other reasons for this behavior. The first is strategic. If the NGO could signal to the FERC a dissatisfaction with the process, it could strengthen its position in relicensing decisions that go beyond the negotiated agreement with the other parties. A second reason could be the NGO’s inability to place an appropriate value on the utility company’s offer. Rational choice theory assumes that actors have all available information and can process this information to behave in their own self interest. It is possible in complex negotiations that recipients cannot process information rationally. The recipient may not be able to determine the value of positive offers from the allocator’s perspective. Rejection may be more likely in complex negotiations if the recipient cannot understand the value of what the allocator is giving up. A third rationale is the preservation of the NGO’s reputation in a negotiation. Recipients may be concerned about their reputation and establishing a precedent of accepting particular types of offers. Therefore, they may reject minimal positive offers for fear it damages their reputation and/or compromises their ability to negotiate with other actors. In this case, if the NGO were part of a regional or national organization, accepting a small positive offer could set a precedent for its regional or national partners in future negotiations. The fourth reason has to do with justice, which is different from fairness. Some recipients may be motivated by a sense of justice that extends beyond the traditional view of fairness incorporated in the Ultimatum Game. The recipient may desire reciprocity for past deeds. This assumes the allocator and recipient (or those represented by the recipient) have a previous relationship where justice issues were at stake. In this particular case, as it was rejecting the power company’s offer, the NGO’s representative spoke passionately about how the lands flooded for the hydropower operation sixty years before were acquired at hideously low prices, much of it through eminent domain proceedings from people impoverished by the Great Depression. The NGO believed strongly that the company should make restitution for past deeds (even though the company was not involved in the original land transactions; it purchased the project from another utility five years before) and donate a large sum in the form of a resource enhancement fund. The lesson here is that seemingly irrational behaviors by negotiators may be explained, and rationally justified, by the theories underpinning negotiation. Game theory is one disciplinary approach for helping us understand negotiation behaviors. Steve Smutko is a professor in the Department of Agricultural and Applied Economics at the University of Wyoming and holds the Spicer Chair in Collaborative Practice in UW’s Environment and Natural Resources Program. 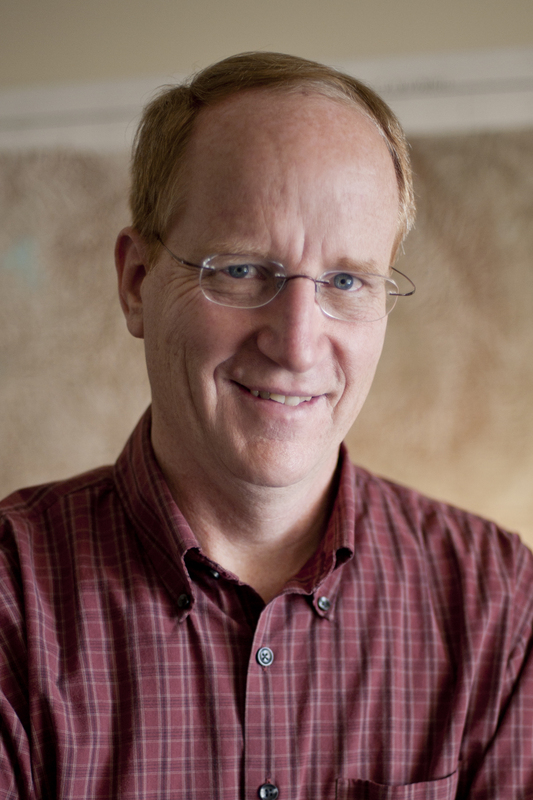 Steve conducts research and practice in environmental decision making and teaches courses in negotiation and environmental conflict resolution. This entry was posted in Communication, Guest Contributors, Negotiation Pointers, Negotiation Tips and tagged Alternative Dispute Resolution, Bargaining, Conflict Resolution, Dispute Resolution, Effective Communication, Multi-party Negotiation, negotiation, Negotiation Planning, Steve Smutko, Successful Negotiation. Bookmark the permalink.